1) All standard and made to request sizes available. 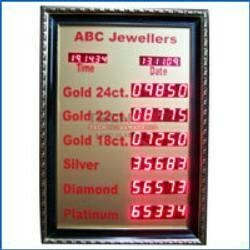 2) Ideal for showing jewellery rates. 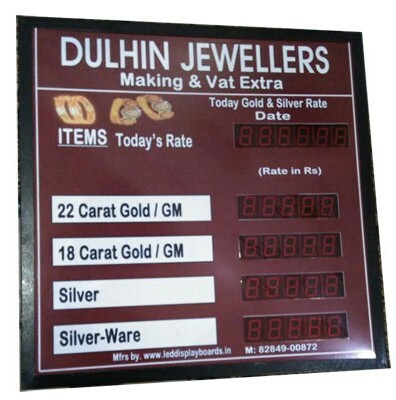 3) Jewellery rates in board can be changed through remote control provided by us or a button panel at the side of the board.